Great news! 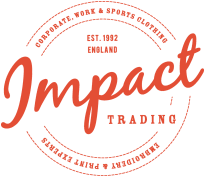 Our sister company Impact Trading have won a good order from the marketing agency Brand Communications. This is to supply a large number of polo shirts, designed especially for their client. Because we are manufacturing for Brand we can’t let you know who the garments are for – shhhhh it’s confidential. However we are working with a supplier in Pakistan and we are pleased to say that even though we have had to work to a tight price we have been able to supply WRAP certified garments. We were delighted. Not only that the factory is a gold rated WRAP factory. WRAP certification means that the factory manufacturing the garments meets twelve basic criteria, in relation to employment rights. So it’s emphasis is upon the manufacturing stage rather that starting at the cotton producer stage which fairtrade excels in. WRAP certification is growing more prevalent, it is a huge improvement and shows that the publicity and campaigning is starting to reap rewards. Our top passion here at Cotton Roots is to supply Fairtrade certified clothing, but WRAP is big step in the right direction. We are so pleased that Brand Communications chose us to trust us, once again, with the manufacture and that ethical improved sourcing is part of the package. WRAP certification information can be found on our certification page here, which includes links to the WRAP website for further information.